Fulton, NY – One of the area’s most anticipated and largest golf tournaments, the United Way of Greater Oswego County’s Annual Golf Classic is looking to be bigger and better than ever this year. Scheduled for Monday, July 14th, the United Way Annual Golf Classic will be held at one of Central New York’s finest private golf courses, the Oswego County Club. Now in its 19th year, the United Way Golf Classic provides community members with an opportunity to enjoy a fun day of golf while supporting their local United Way. According to United Way Resource Development Director, Lois Luber, this year’s event will build upon the excitement generated from the most recent Golf Classics. 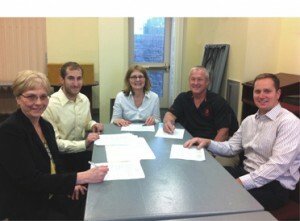 “The move to the Oswego County Club has breathed a new life into the event. The feedback we have received since we’ve hosted the event at the Oswego Country Club has overwhelmingly positive,” said Luber. The 2014 United Way Golf Classic will follow last year’s successful format of offering two flights of golf, an 8:00 a.m. tee off and a 2:00 p.m. tee off. The 2014 United Way of Greater Oswego County Golf Classic will once again feature a captain and crew format with teams of 4 golfers. A team registration of $600 includes: golf with carts for 4 people, a hot dog or hamburger at the turn, a chicken and steak lunch or dinner, beverages, golf shirt, and an opportunity to win an automobile at the hole-in-one contest sponsored by Burritt Motors of Oswego. There will also be plenty of raffles, a silent auction, a putting contest, skins competition, prizes for longest drive and closest to the pin, and much more. Luber added that there a limited number of sponsorship opportunities available for those interested in being a part of the United Way Golf Classic including; corporate foursome sponsorships and hole sponsorships. United Way is also accepting items for the silent auction, takes place immediately following the tournament, for businesses that would like to lend their support at that level. For more information on the 2014 United Way Golf Classic, register a team, or become a sponsor for the event, visit www.oswegounitedway.org or contact Lois Luber at your United Way office, 315-593-1900 x202, or via e-mail at loisunitedway@windstream.net. Cut line for photo: John Nelson, chairperson for the 19th Annual United Way Golf Classic, meets with committee members to discuss details of the event. Scheduled for Monday, July 14th, the tournament will be held at the Oswego Country Club. Sponsorship opportunities are available for businesses and organizations wishing to be involved with the event. Seated from left are: Julie Welch of Eastern Shore Associates; SUNY Oswego student and United Way intern Steve Leventoff; United Way Resource Development Director Lois Luber; Dave Lloyd of Novelis and John Nelson of Nelson Funeral Home. Absent from photo are committee members Brian Finn of Entergy, Perry Noun, and Community Volunteers Connie Smith, and Kim McPherson.